HYPNAGOGIA is the liminal state between consciousness and dream, a transitional flow that occurs in the mind. 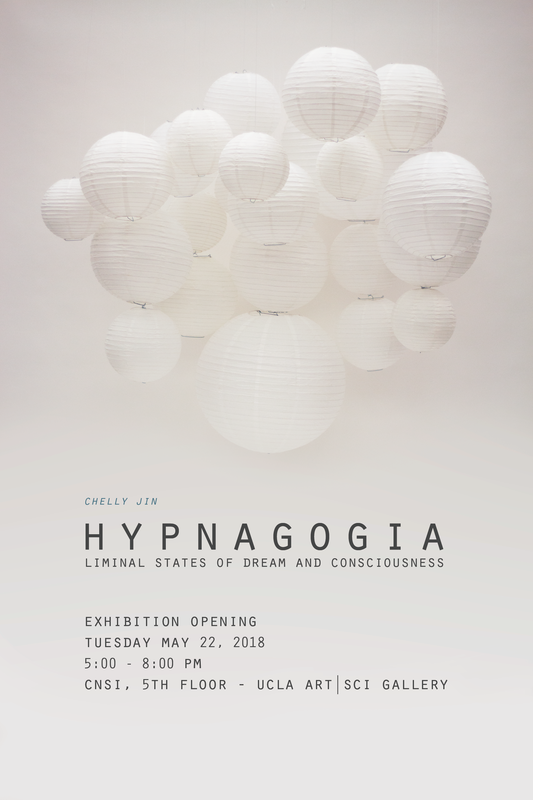 This installation and video piece illustrates the hypnagogic duality with lights orchestrated by her consciousness, using brainwave sensors, as the artist reveals her subconsciousness, by reading aloud the dreams she's written down from the past six years. Chelly Jin is a designer and artist based in Los Angeles. Her work synthesizes data, technology, and art to illustrate narratives through interactive multimedia and creative research. As a curious generalist, Chelly utilizes the application of design thinking and HCI methodology in her art practice, as well as develop collaborative, innovative design solutions.